Could I be cutting myself short? I am on a path to becoming debt free by living frugally; shop at thrift stores, menu plan around grocery sale ads, make my own coffee, pack a lunch, etc… But, by not spending am I cutting myself short? Investor Junkie did a guest post, You are already wealthy, stop complaining! at Financial Samurai’s blog. He replied to my comment by saying, “Hey I have no issue with greed. Being greedy can help with overall good”. It made me think… am I cutting myself short by living a nonexistant life to pay off my debt? I mean, could I pay off my debt by actually spending money to create additional cash flow (Steadfast Finances wrote a good post on Digging Out of Debt by Improving Cash Flow)? Investor Junkie states on his about page, “Most of the other financial freedom blogs discuss…live frugally (is living very minimalistic really living?)”. My response: No, it really isn’t ‘living’ but it is the way I know and has minimal risks associated with it. Investor Junkie’s life projects a good lifestyle to back up creating additonal cash flow and/or a passive income to generate extra income; his family is in the top 5% of the US population, has a business, retirement accounts, a rental property, and savings. And offers a great set of Rules of Wisdom that provides some validation to this subject. Take Lillian Hochberg, many of you know her company by the name of Lillian Vernon the catalog merchant. She started out by using $2,000 of her wedding-gift money to buy a supply of purses and belts and placed a $495 ad in Seventeen magazine. The result: the ad brought in $32,000 in orders. I live frugally, but am not ‘broke’. I may have to start on a shoestring budget, but I can start investing $500 – $1,000 for a start-up, whether it be investing, a small business, etc… I can continue to pay my snowball scheduled payments while investing into creating additional income. So the risks are not relative in the is matter. Meaning if I lost $1,000 in this investment I do no harm towards my journey of becoming debt-free; that path is still maintained. I am curious to hear your thoughts on this subject. What would you do with that money? Do you believe in spending money to make money? This entry was posted in Finances and tagged creating additional cash flow on 2010-01-14 by Christine. Hmm… I have to comment on this since I’m mentioned 🙂 I’m not gonna lie, my wife and I have worked very hard. There is no easy road in life. For me it’s taken many hours of working late night, high stress times and making sacrifices to get this point in our life. It’s been said overnight successes usually take ten years. I couldn’t agree more with that statement. The past year has been a real eye opener for me on many levels and for me personally can see the light at the end of the tunnel. We are in a different place where you are in which is ok. Each person is on a different path and different stage in their life. I’m NOT saying we are better than you are. I can’t say personally I’ve had as much consumer debt you are currently dealing with and I feel for you. I for me at least, being completely debt free makes me more insecure. I’m not referring to consumer debt, which I do agree is bad. But debt like a mortgage has some advantages if used properly. I can give you the advice of “baby steps”.. Think big but start small. Every day you make a step towards your big goals eventually you will get there! It sounds simplistic, but it works. I hope my about page doesn’t make it sound like I’m “living large”. We don’t and the grass is greener over here. Keep in mind we live in NY where the top 5% is just upper middle class. Oh we have our life and money issues like everyone else. I created my web site to offer some counterpoints from all of the other web sites and hopefully offer some insight and what got me to where we are today. Oh no, I hope I didn’t make it sound as if you are better than life or ‘living large’. Your page makes it clear that you worked hard and smart to get where you are and obtain what you have. That is why I take your blog as an inspiration. I feel for me. LOL. But, it is both my husband and I that landed us in this debtful predicament. And we will work to get us out of it, too. I have to agree with you Think big but start small. And I am learning that on this debt-free journey I am out to obtain. It is all starting with a dollar here, a payment there… and slowly but surely we see the progress. Hey you two! Nice to see you a relationship blossom between y’all from IJ’s guest post, Money Funk’s comment, and IJ’s rebuttal! Very neat! What about not spending money on anything other than the income from the site! Spending money to make money is just called investing. True that there is many factors in play. Why do you think your husband is not where he thought it would take him? Maybe re-evaluate the business plan? Look at it outside the box or even gain some blogger’s prospectives on it? 😉 And I understand if it could just be due to this miserable economy right now. You’re right, a business can fail. There is plenty of risks associated with it. But as financial bloggers, we know that we have a better chance if we have a solid plan to follow. And that is in a high-yield savings account, right? lol. I forgot where I heard this statement but it rings true. Take calculated risks, and fail often. Worst case you get a valuable lesson out of it. I’m moving into the blogosphere and discussing finance. Completely different than my background and what I’ve done previously. I think I’ll do well but have no idea. Sometimes you have take a leap of faith. If it doesn’t work out or work out as expected, try something else. You are absolutely not selling yourself short by living frugally. However, if you are living a “non-existent” life, that may be a bit extreme. So in my humble opinion, there is a happy medium between living to excess versus allocating a mere $20/month for fun money. I should know, since I admittedly painted myself into the “mortgage poor” department in the link you kindly included. The extreme frugality worked for a while since I found other things to do (outdoor basketball, happy hour at home, etc), but that mode of life just wasn’t for me. Not to mention, I was also a single 25 year old guy who liked to socialize on the weekends. Also, just to clear up any misunderstandings, I didn’t actually spend money to make money, but spent money and realized I was 1 unanticipated bill away from being broke. So it’s not like I bought the house as an income property, but decided to take in a roommate out of necessity. Completely poor planning on my part and might be one of my best lessons ever learned! Do you know how hard it is for me to part with a $20? LOL. I do need to find a happy medium. Especially making a decent income. Extreme frugality…hence the reason I make it a game. Better outlook on needing to live frugal than complaining that you have to be frugal. And there are plenty of great things to do on the frugal side. But I understand being 25. Hey, at 37 I still feel the same way! We all learn from our mistakes. As Winston Churchill quotes, “Success consists of going from failure to failure without loss of enthusiasm.” One of these days were gonna get it right! While trying to save a few pennies people are missing picking up (or even better making) the dollars. Life is too short to sacrifice so much that it will make your life miserable. Yes one of the keys to becoming wealthy is save more than you earn (I call it the “no duh” statement), I think it comes down to how much is too much to save? If it’s high interest rates, then it should be considered an “investment” because the likelihood of beating say a 15% annual rate on a credit card is almost nil. I myself have some debt in my business that right now is very low (4% annual rate) If in Feb they rates jack up (because of the ruling) I will be paying them off ASAP. Right now it’s cheap money that I have put to other uses in my business. Sounds like you have spending paralysis like me! Let “freement” reign! “Meaning if I lost $1,000 in this investment I do no harm towards my journey of becoming debt-free; that path is still maintained.” I have this mentality now as well. What’s a $1,000 in the scheme of things…and you will learn so much. LOL. I understand what you are talking about – TV versus something that can help you in the future. I like your start-up and think there is a lot of potential. I look forward to staying updated on your journey. I’m glad I am inspiring you 🙂 I wish I could find more blogs that document someone startup though. If I had more cash I would definitely splash a little more here and there but to be honest I generally enjoy living a simpler life. Less possessions and less stuff in general is just less stress…. However I do love eating out at restaurants… The more cash I have the more that will increase. Also I will likely look to some form of investment if I ever have spare cash, just not too much. Boy, it is too late in the afternoon to answer at length, but my first thought is “define living.” Or “non-existent life.” Are we talking wanting champagne on a beer budget and sulking because the dollars aren’t there? Or trying on a lifestyle (frugality) and then taking it to such an extreme that now we are miserable when we don’t have to be? For start-up stories, try Inc. Magazine. Go to inc.com and take a look. I don’t know how much you can read online without subscribing. It is a magazine dedicated to start-ups and entrepreneurs. I think a healthy balance between the options is in order. You can live minimally while spending money to make money, and pay off debt. Its just about allocation. Now, *TIME* is what may become the problem. I think you are right with the idea of investing $500-$1000 into the market or into a new venture, with the idea of much greater returns in the future. Best of luck as always. True, true…about time. There never seems to be enough of that. Yeah to Lauren & Husband. I wish I could take the bus but I work a zillion miles away. I tried the train, but the costs were about the same as driving and it took up more time to get home. That is great the things you and hubby have done. But look at the travels you’re taking. I would totally live on a tiny budget to do that. Wow, retire at 35? Makes me feel old. LOL. I thought about buying an small 4-plex myself. Would your husband say the time & effort to maintain the building and residents is worth the investment? Curious. Happy to have found your blog. Look forward to following your adventure. We live in one of the four units, so it’s nice to be on-site. We’ve remodeled three of the units so far, and it wasn’t exactly fun. I think we’d pay someone else to do it next time. We have great tenants, and we offer incentives for signing longer-term leases. You really can’t beat having your rent/mortgage paid! It’s been said above, it is balance. Anyone serious about their long-term financial well-being and anyone that finds enjoyment in the rewards of building wealth should look toward additional income opportunities. 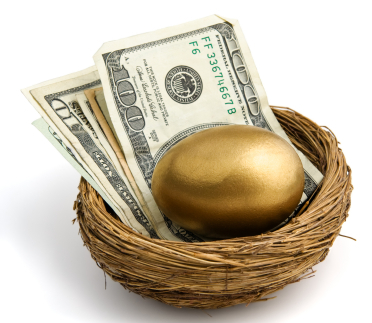 However it appears to me that even wealth builders often discount the opportunities that are inherent in frugality.